These are exciting times! 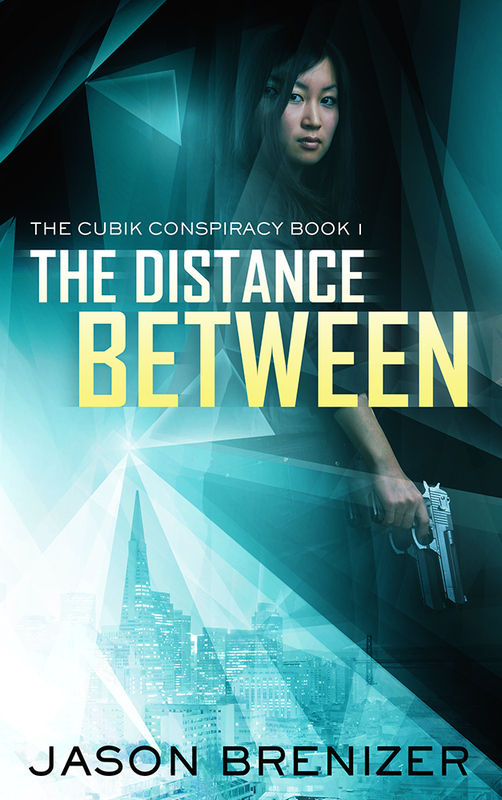 The first installment of The CUBIK Conspiracy Series is now available for immediate download exclusively from Amazon. If you already pre-ordered, THANK YOU! Your eBook will be delivered to your Kindle or Kindle App on your smart device automatically. If you are still deciding when to dive into the CUBIK universe, there’s no better time than today. 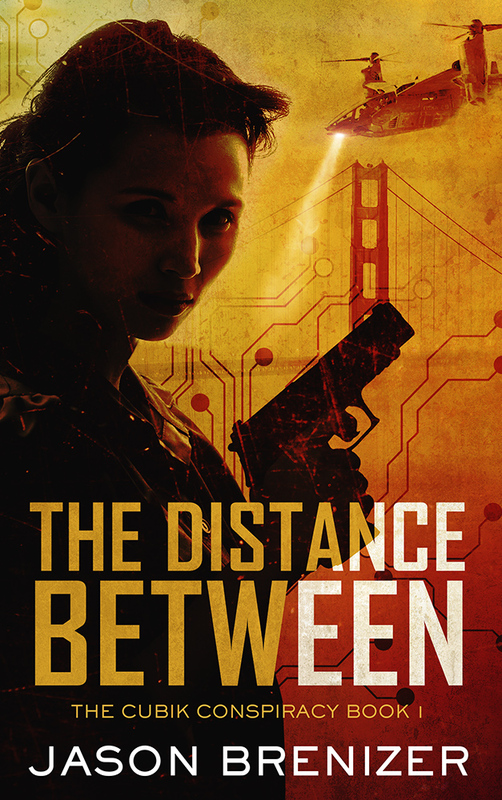 Please help me move up in the ranking by ordering The Distance Between today and leaving a fair and honest review on Amazon. In about a week, the print version goes live. So if you like the smell and feel of freshly printed books, I’ve got you covered. The ebook and print cover designs (by Damonza Book Cover Design & Formatting) were exactly what I was hoping for. There were a few iterations of the design before I settled on the motif above. Lately, I’ve been asked a lot of questions about this particular story and also the CUBIK world. Below you’ll find a compilation of some of the Q’s followed by my A’s. Q: Where did you get the idea to make a female grad student the center of a revolution that breaks out in the heart of Silicon Valley? A: I started my career in physics and engineering, and I had worked with several extremely intelligent women who, sadly, had to scrape and work that much harder to get the recognition they deserved (my wife among them). As a man, I have no shortage of heroes in fiction. So I wanted to place a female hero squarely in the center of the conflict and give her a chance to run circles around the men of the story. Q: There’s a fair amount of physical conflict in The Distance Between. How does Lexi know how to handle herself so well? A: You wouldn’t expect a post-doc at Stanford to know martial arts or survival tactics. That’s part of the mystery of this story. Lexi can do things that she’s been hiding from everyone at college. Especially her boyfriend Kyle. At every turn she has tough choices–to protect the people around her, she has to reveal parts of herself and her past that she’s gone to great lengths to bury. That makes her vulnerable, and for someone who likes control, that’s agony. Q: You lived in Southeast Asia for awhile writing and producing films. Why did you move from filmmaking into fiction? A: I love filmmaking. I can’t deny it. But it’s expensive to get a film off the ground, not to mention getting it properly distributed in theaters. You can write a screenplay and even sell it to a big studio only to see it sit on a shelf for ten years, never to be produced. And a screenplay is like a blueprint for a house. It’s not the final product. With fiction, I have a much more direct connection to fans, and I can write in an earthquake if I want to and not worry about blowing out the budget! One film we did get made was the award-winning CUBIK, and I loved the characters so much, I just had to discover more about them by writing The CUBIK Conspiracy series. 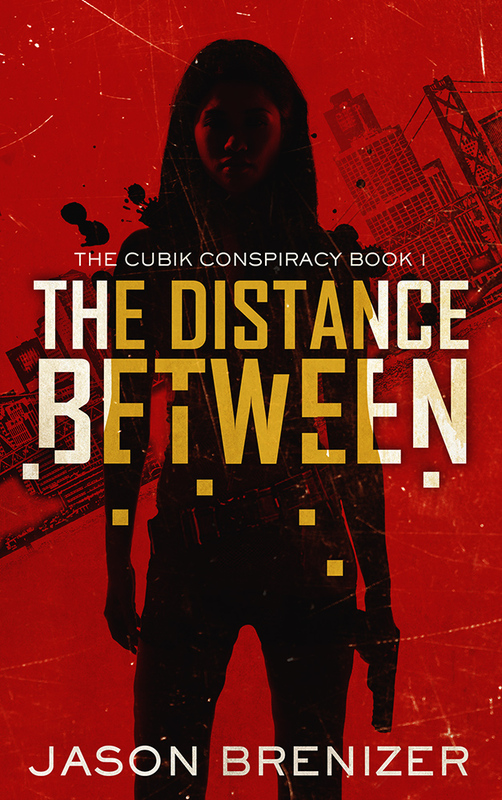 Q: The subtitle of this book – The CUBIK Conspiracy Book 1 – suggests more to come. Who will make it to the second installment and how many books can we expect in the CUBIK universe? A: You are absolutely spot on. There is much more I intend to explore. We had come up with so much backstory for CUBIK the movie that was never going to make it into the film. I kicked around the idea for a TV series, but here again there are so many people involved and capital needed it just made sense to explore the characters and ideas in long form writing. I love the freedom. I can write a side novel for any character I want. The limitations are removed. That said, if I told you who makes it to Book 2 and beyond, I’d be giving away too much. As for the number of books, this is bigger than a trilogy, I know that for sure. Books 2 and 3 are in the outlining phase, a finished short story will be published soon, and I’m already halfway through writing a CUBIK Conspiracy novella. These are exciting times. 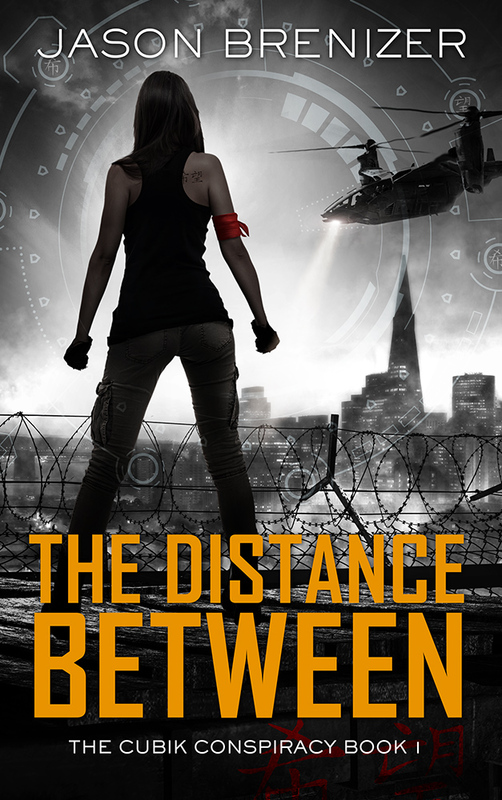 When you read THE DISTANCE BETWEEN, you’ll feel like you’re watching a movie! This story has been a long time in the making. Process is different for every writer. Some are “pantsers” who start on page one and figure it out as they go along. The others, the “planners”, work out details to the n-th degree. I fall somewhere in the middle, and draw heavily on my screenwriting background. What you get is an intricate plot with surprising situations that give the main characters a hell of a lot of grief. ← PreviousBouchercon Mystery Convention vs. Left Coast Crime: What’s in a Name?